Birmingham&apos;s culture chief has insisted the council is committed to the future of the city&apos;s world-famous art gallery despite the resignations of museum trustees amid tensions over a new deal. 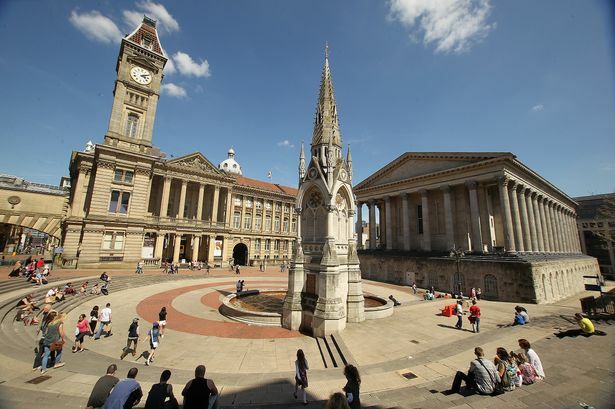 The relationship between the city council and the Museums Trust has become strained after the authority insisted on a five-year lease for the Birmingham Museum and Art Gallery building in Chamberlain Square. The trust wanted to secure its position over a longer, 25-year term and enable it to access a wider range of grants and income. It argues major arts and culture funds will not invest in a museum with a short lease and question mark over its future. It is claimed several trustees, including influential chairman Penny Cobham, who is a leading national tourism expert and chairman of Visit England, resigned over what they saw as a lack of support from the council. But the council, due to staffing cuts and the need for less office space, is undertaking a review of its Council House building, to which the museum is attached, and says it cannot offer any lease beyond five years. Details of the dispute emerged as the council&apos;s Labour cabinet approved the new deal, which guarantees the trust has 25-year leases on the other historic buildings, including Aston Hall, Soho House and Blakesley Hall. But with high-speed rail line HS2 due to plough through Aston, it could only offer another five-year lease on the Museum Collections Centre - the giant warehouse where many historic artefacts, unable to be shown in the museum itself, are stored. The deal also includes an annual subsidy to the trust starting at £3.2 million in 2016/17, falling to £2.7 million by 2020. Cabinet member for culture Coun Penny Holbrook said: "This has not been the easiest of negotiations but our relationship with the trust remains very strong. "The museums trust remains incredibly important for Birmingham City Council and we want a long-term relationship." She said the relationship was not broken and, while they did not agree on everything, it remained strong. "The museum trust is our delivery partner for the long term," she added. But opposition Tory group leader Robert Alden said: "How can you have a long-term relationship if we don&apos;t give them a long-term lease? "There are so many grant conditions they won&apos;t qualify for to get investment. "I have real concerns that the relationship between the trust and the council is breaking down. People who have had concerns have left the trust." The Museum Trust has declined to comment on the issue.